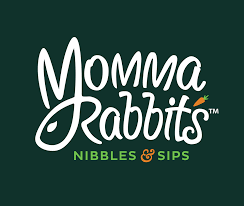 In 2016, the seven Allen brothers and sisters opened Momma Rabbit’s, creating an everything-made-from-scratch lunch and brunch spot. Affectionately named after their grandmother Sue Waring Franklin – whom the siblings called Momma Rabbit, this place is a real treasure! Located on Sunset Blvd right down from Target, this local spot is perfect for a quick Oatmeal, German Pancake, Chicken Salad Sandwich, or scratch-made Soup. Need to grab something quick to take home to feed the family? Momma Rabbit's has that taken care of too! With delicious meals such as Chicken pot pie, Lasagna, and Firecracker Salmon - your taste-buds are sure to be satisfied! Plus, these meals are made fresh every week! Brunch at Momma Rabbit's is delightful! Grab a Bloody Mary and Eggs Benedict or Belgian Waffle and you're all set! If you haven't been here yet, you're definitely missing out!